If you've got pale skin like me, you probably struggle with finding a good bronzer that doesn't make you look like a Jersey Shore cast member or a muddy mess. Darker bronzers, even if they are a good formula, can be hard to blend and can end up looking very unnatural on my lighter skin tone. Therefore, lately I've been going for softer, more neutral-toned powders that can give me a natural glow! Here are four of my favorite bronzers, both drugstore and high-end, that are perfect for fair skin and are also cruelty-free! I haven't heard much about No. 7 since the brand came to Ulta, but a YouTuber I really like recommended this bronzer and the moment I tried it out I could see why! 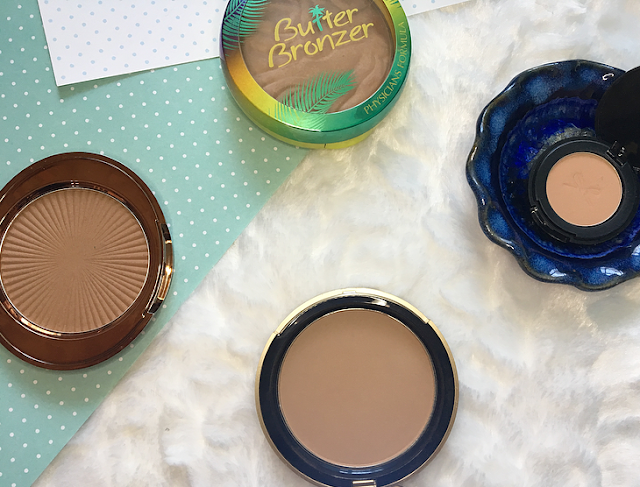 I've never felt a softer bronzer, drugstore or high-end. It comes in three shades so a variety of people can try this out. Caramel is the middle shade, though it still works for my skin tone. If you are lighter than me you may want to go with Maple, the lightest shade. Though this powder is soft, it isn't very powdery and it still blends incredibly well. It is matte and has a neutral tone to it. This is definitely the one I recommend the most, it's my favorite bronzer of the year and is rivaling my favorites of all time, especially because it's cruelty-free! 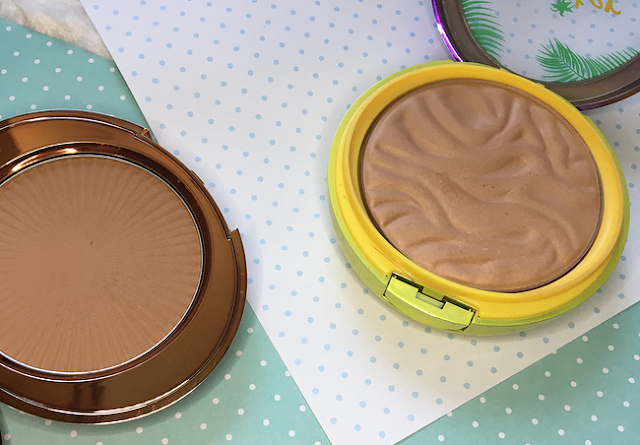 Who hasn't heard of this tropical scented, wave-like drugstore bronzer? It lives up to the name with a buttery-soft, almost creamy texture. It has the slightest sheen to it that is really flattering on the skin and is the perfect tone for people with lighter skin. Unfortunately Physician's Formula is not the greatest on the shade diversity front, which is a shame because if they expanded this range into the darer shades I think it would do really well! I got this little sample from Ipsy and I cannot get enough of it! This is the lightest shade of the two Ciate has available and it's an easy to blend, slightly warm-toned matte powder. Palm Island has a bit more pigment to it than the Butter Bronzer and the No. 7 bronzer, so a little goes a long way to make you look more tan. When I finish this up I will absolutely be purchasing the full size. As you may be able to tell I like my scented products...it makes putting on make up that much more enjoyable! I prefer this cocoa scent to the tropical Butter Bronzer, which is why I own so much from the Too Faced chocolate range. Anyway, Milk Chocolate is the lightest shade out of three. Though not as soft as the other powders I included, this one is the most pigmented. You get a ton of product in this compact and it is so easy to throw this on and blend it into the skin. Do lighter bronzers work well for you? Have you found any that I should try? 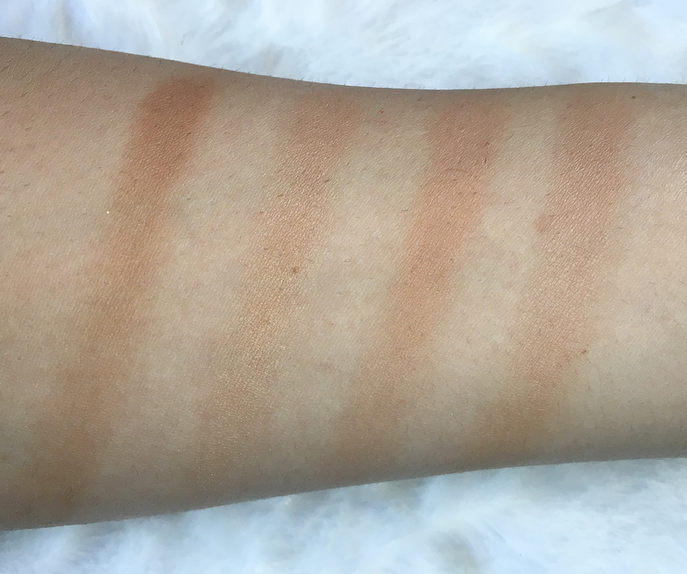 15 comments on "The Best Bronzers for Fair Skin"
I understand this struggle so well! Ive been wanting to buy the Too Faced bronzer for such a long time. I don't tend to use bronzers a lot because they make my look orange. I have been eyeing the butter bronzers for ages. Too Faced Milk Chocolate Soleil is my fave!! Beautiful post! In a busy life women should not forget to pamper themselves to look good and beautiful. Designer Scarves Online should be a part of woman's shopping list. 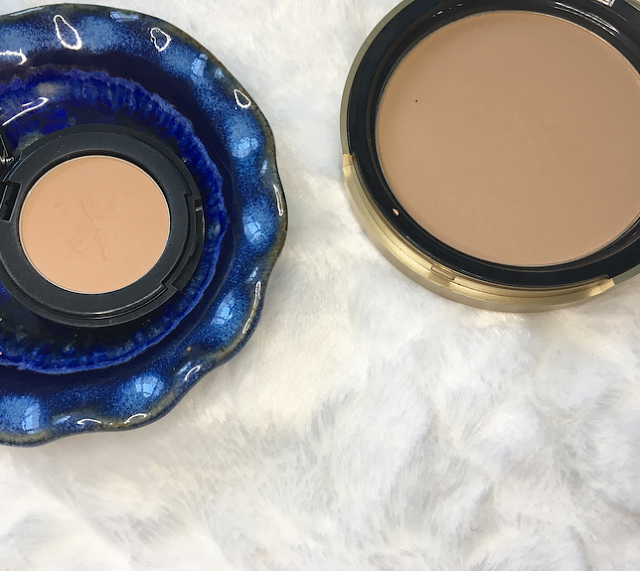 I really love the look of the Too Faced bronzers, great post! Too bad we don't have any of these brands and products here, but I know the struggle. Antihaul #3: Hourglass, Benefit, & More! The Ordinary Foundations: Worth the Hype?